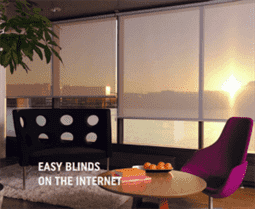 Welcome to Easy Blinds. We are an established manufacturer and installers of blinds and curtains in Dubai. We have our workshop in International city,and bring all of our samples to your home or office. guarantee a high level of service and professionalism. Unique and creative solutions that meet our clients’ expectations, not just through our manufacturing of products but with our communication and after sales service. Continuously improving our ranges, knowledge and staying abreast of new technology entering the market. Treating each client as an individual experience from start to finish. We realize that no two clients are ever the same and we start every new project knowing that. We have a compact and highly experienced fitting team who have been with the company for a long time. We’re like a family, and like to treat our clients the same. With Sam leading the communication and initial consultation, and a team of friendly, English speaking fitters to install your curtains and blinds, we guarantee an easy experience which is unrivaled in Dubai. On the rare occasion that there is a problem with the production or installation of our blinds, we deal with these issues immediately, there is no procrastinating or trying to shift blame. Phone us with any issues and we’ll be there within 24 hours to come and make sure everything is fixed to your satisfaction. We work on trust with our clients and our confidence in our great work. Any job under 5000 AED won’t require any upfront payment. Once we have fitted and you are 100% pleased with the work, then we can arrange payment by cash, cheque or bank transfer. We’re open 9am-8pm, 7 days a week for appointments. Company owner Sam Matthews is always available for a call at anytime you desire so feel free to give him a ring and discuss your new stylish home improvements. Custom made blinds, curtains and soft furnishings. 1 year guarantee on all jobs. Routine maintenance of cords, rails, hooks etc. 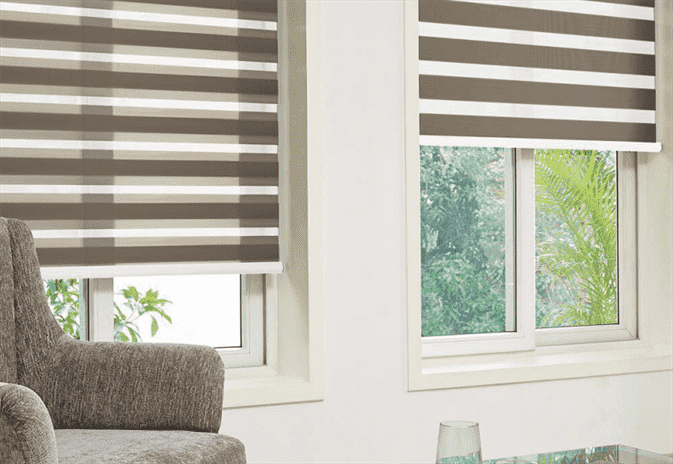 Although we have our showroom in International City, you don’t need to leave the comfort of your own home to order blinds and curtains from Easy Blinds. You can find our full range of services and the types of blinds and curtains we offer online at www.dubai-curtains.ae and www.dubai-blinds.ae . With one quick phonecall, one of our friendly English speaking customer service team will come over to your home at a time that suits you to consult you and let you browse our huge catalogue of samples. We respond to every email within 30 minutes if received during business hours. Here at Easy Blind’s we’ve always believed that the success of any company is based on how respected the company is in the community. Social and corporate responsibility has always been at the heart of everything we do. Although the owner of Easy Blinds is English and many of the business practices Easy Blinds has adopted are more European than UAE in composite, we still ensure every decision we make is considerate towards the local market and population. In our knowledge we are the first blinds and curtain company to offer a recycling facility. We will buy second hand blinds and curtains from old customers who no longer have a need for them due to relocation or upgrading. If the material is used to be resold as second hand, we can still use the rails and cords and offer these at a huge discount. This allows some customers who wouldn’t have been able to afford these items brand new , to now own expensive custom made curtains and blinds for a fraction of the cost. At the same time reusing these items saves waste and pollution from production. 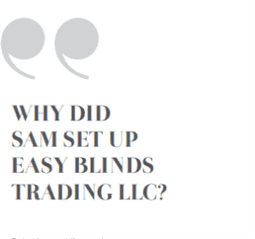 WHY DID SAM START EASY BLINDS? Dubai can be rather slow at times, people say one thing but do another. Two days becomes two weeks, and things never get done in the timeframe you need them. Sam was himself a client, frustrated by the way some companies were run in the region. He knew he could do a much better job, and with 15 years business experience behind him which he built up in the UK, he set about trying to create a company which was created for the expat community and designed to truly meet their needs. which are suitable for workers’ accommodation or similar levels and there are some very expensive companies who cater for the high end local market, find the company that draws the fine line in between is the difficult part in the UAE. The customer is always right and we will do anything to placate and make a situation right if we have made any errors. Be professional, approachable and courteous at all times. shows through their work, professionalism and above all, smiles.